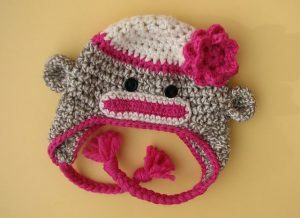 Sock monkey hats make lovely gifts for children and babies. Use this cute knitting pattern and create wonders for your baby and impress all. Make these for new babies as birthday gifts and feel a proud mother that you have designed it all by yourself. Socks monkey styles are back in vogue with monkey faces knit with appliquéd patterns. Using different color schemes would enhance their clarity and make them bright, lovable accessories. Grandmoms can make one for their little grandkids who will also take them back down the memory lane. Pink lips or glasses on the monkey will bring a classic diversified look, and a red pompom on it is a cherry on the cake. 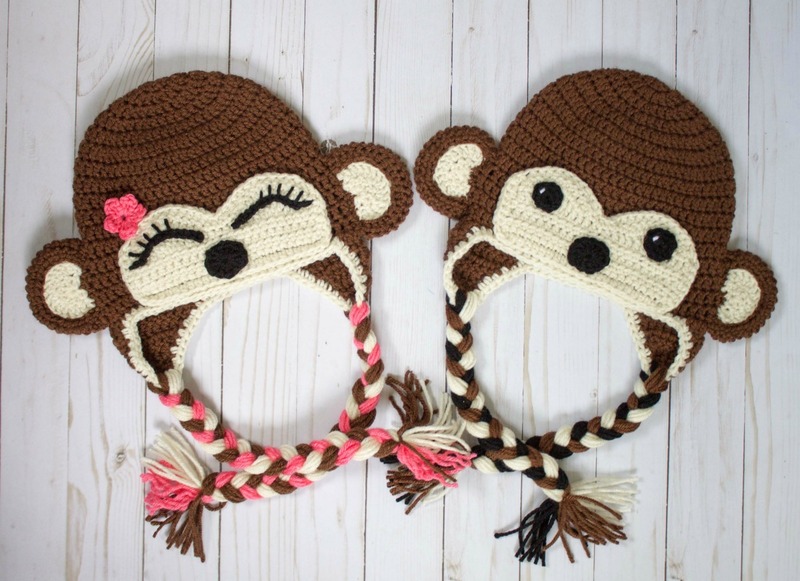 Patterns of sock monkey hats should have a vibrancy and bright colors to give it a perfect look and suit the infants best for they love colors and fun designs. Tiny toddlers look incredibly cute in these colorful sock monkey hats with pink braids hanging along the ears. Hurry and make one for your little pie! 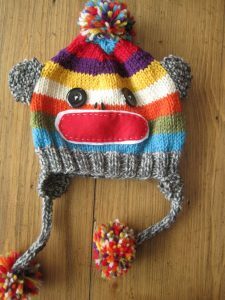 Make this adorning sock monkey hat with two cute earflaps hanging on both sides and a little pink flower blooming at a corner to give it a more decent and impressive pattern. 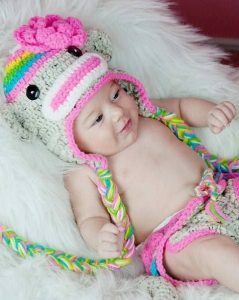 Make some of these newborn baby hats with sweet little ears, fun tassels, and with a cute face expression along with braided earflaps for your monkey child. Unleash the baby monkey in your child and gift him a sock monkey hat. Kids have super fun wearing these, and they keep them warm too.